Home » LeisureRate Magazine » Pool Alarms to Up Your Swimming Pool Safety System? Pool Alarms to Up Your Swimming Pool Safety System? If you have a pool, then you know that safety is always the top priority. Because there are so many concerns about safety, there are many safety devices, but which one to choose? We have the best pool safety tips, so you can find what works for you and what doesn’t! When you’re setting up your pool safety system, pool alarms can be the ultimate solution. From water alarms that alert you when children go into the water to door alarms that sound whenever a gate opens. There’s nothing safer than an immediate and loud notification that something is going on with your pool. Why Do Pool Alarms Work? Pool alarms work to provide a series of notifications. An alarm on a gate can alert any adults around that someone is entering the pool area. A standard pool alarm will pull your attention to a water disruption. So many accidents happen in, or near the pool because someone looked away for a second. That’s all it takes, and while many adults understand that water is a dangerous element, kids don’t. Kids want to have fun around the pool and don’t understand why adults are so on edge. ack to the water or pool area. Similarly, pool gate alarms let you know about the whole area. You can be inside enjoying time in your living room and hear the alarm go off. What Types of Pool and Gate Alarms are Available? There are a few different types of pool alarms which can make your pool safety plan complete. The most common is the introductory gate alarm. A gate alarm is the simplest alarm system you can have and works by attaching the parts to the gate. When the connection breaks, the alarm sounds. Although the gate alarm systems are simple, they are easy to bypass. Small children are notorious for getting into spaces through creative means. Additionally, children are known to climb fences to get into a pool area. Gate alarms or pool door alarms are a great start to a pool safety system. Although this alarm type isn’t usually compatible with above-ground pools, it is extremely useful for in-ground pools with simple installation on the side of the pool. Sub-surface alarms come in 2 variations. Either the alarm’s design uses magnetic floats or is pressure-sensitive. The magnetic float design detects movements below the unit. These alarms usually look like a chemical skimmer or have some design to discourage swimmers or children from playing with the unit. The pressure sensitive pool alarms are very basic. These systems install onto the side of the pool and detect changes in the pressure from waves. A pressure sensitive pool alarm is one of the most accurate options. It’s consistent in triggering only when necessary, and you can usually adjust the sensitivity. A surface alarm is a system that is extraordinarily sensitive and must be taken out whenever you’re swimming. The surface alarm uses an electric connection to detect a big enough disturbance that allows water to make the connection. These systems require no installation and are usually fairly cheap. 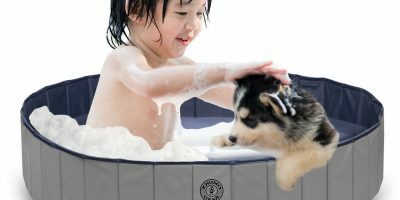 Although these won’t let you know when a small dog or neighborhood kid gets into your pool, you can protect your child or dog. These alarms fit snugly onto a bracelet or collar and go off whenever the sensor gets wet. This leads to a lot of false alarms, but these alarms save lives regularly. 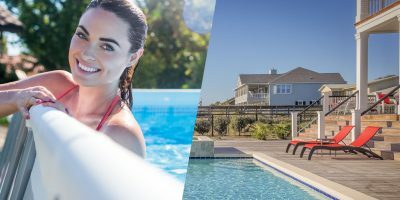 Why Choosing a Pool Alarm is a Good Idea? Aside from the clear benefits of saving the lives of adults, children, and pets, pool alarms secure the water in your backyard. Children have a natural curiosity. Your own children aren’t the only ones at risk. This of neighborhood children as well. Pool alarms and gate alarms are cheap solutions to a problem that no one wants to experience. Choosing an alarm is simple, and you can find one in almost any budget range. How Much Are Pool Alarms? Speaking of budget, it’s important to acknowledge that the many pool alarms are inexpensive. 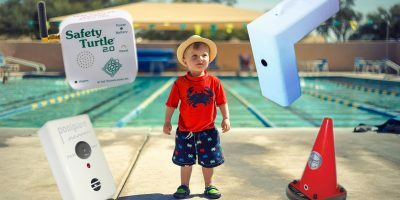 The wearable pool alarms typically cost between $100 and $200. Surface and sub-surface pool alarms are also in this price range. Most gate alarms are right around $50. The last being the cheapest option means that anyone with a pool has no reason not to have some sort of alarm system. There are a variety of pool alarms for any budget. 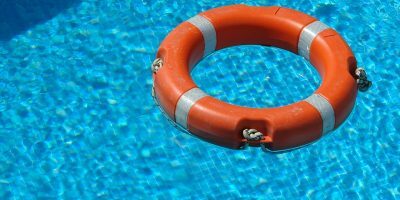 The clear benefit of a pool alarm is knowing immediately that body of water in your backyard has a person or small animal in it. Many pool alarms save lives every day. But, there’s a downside too. Some pool alarms must be removed before using the pool. Ironically, many pool alarms aren’t water-proof. Their systems rely on delicate electronics, and typically water and electricity don’t mix well. Some units have been reported to malfunction due to water ingress. Many pool alarms are well-known for false triggers. A gust of wind disrupts the surface of the water and the alarm goes off. The pool cleaner disturbs the surface alarm, or a kid throws a ball at the water. False alarms are aggravating. Pool alarms are worth every penny you invest in them. 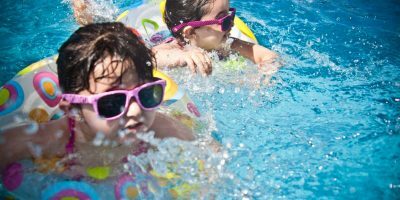 The Consumer Product Safety Commission estimates that 280 children under the age of 5 drown in pools every year. Even if you have the occasional false alarm, there’s no reason to avoid an alarm. With options available in every budget and a ton of varieties available you can find the best fit for you and your backyard.